12 Bible Verses about Helping the Poor, the Needy, The Poor and Needy, Helping Those in Need – Biblical Verses & Bible Scripture Quotes. 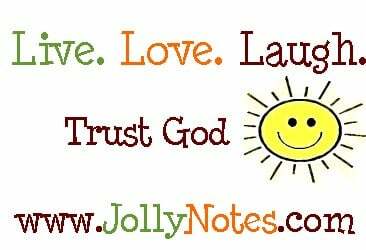 Inspirational, Encouraging & Motivational Bible Verses, Scriptures, Quotes & Passages about Helping the Poor and Needy, Helping the Poor, Helping the Needy, and Helping those in Need. Bible Scriptures about Helping the Poor are very inspiring! What the Bible says about helping the Poor, Helping the poor and needy, and helping those in need of help. I pray these Scriptures on Helping the Poor (and anyone in need) are a blessing to you. Proverbs 21:13, ESV Whoever closes his ear to the cry of the poor will himself call out and not be answered. Proverbs 14:21, ESV …blessed is he who is generous to the poor. Acts 20:35, ESV …It is more blessed to give than to receive. Deuteronomy 15:7-8, ESV “If among you, one of your brothers should become poor, in any of your towns within your land that the Lord your God is giving you, you shall not harden your heart or shut your hand against your poor brother, but you shall open your hand to him and lend him sufficient for his need, whatever it may be. Luke 14:13-14, ESV …when you give a feast, invite the poor, the crippled, the lame, the blind, and you will be blessed, because they cannot repay you. For you will be repaid at the resurrection of the just. Isaiah 58:6-7, NLT …this is the kind of fasting I want: Free those who are wrongly imprisoned; lighten the burden of those who work for you. Let the oppressed go free, and remove the chains that bind people. Share your food with the hungry, and give shelter to the homeless. Give clothes to those who need them, and do not hide from relatives who need your help. Galatians 2:10, ESV Only, they asked us to remember the poor, the very thing I was eager to do. Proverbs 14:31, NLT Whoever oppresses the poor shows contempt for their Maker, but whoever is kind to the needy honors God. Matthew 25:34-40, ESV For I was hungry and you gave me something to eat, I was thirsty and you gave me something to drink, I was a stranger and you invited me in, I needed clothes and you clothed me, I was sick and you looked after me, I was in prison and you came to visit me.